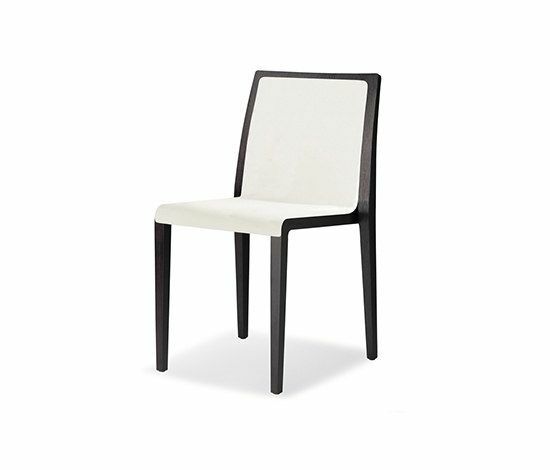 Chair Young, upholstered version, gives prominence to the sinuous shape of the profile. Available in bleached oak or wengé stained. Stackable.